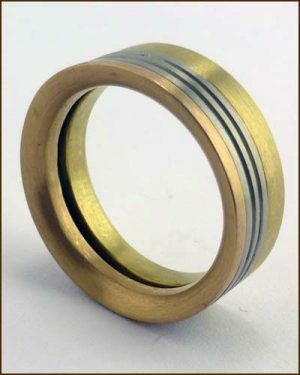 From the design studio of William Richey we offer this striking 3 color ring. 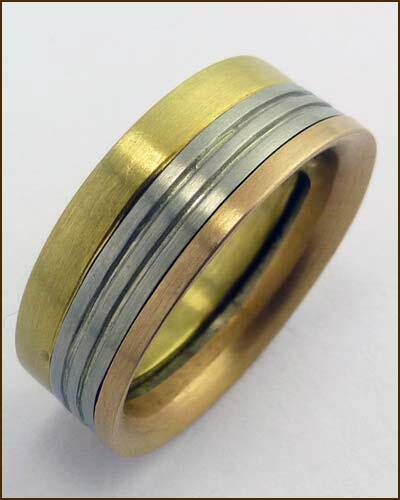 In shades of white, red and yellow 18k gold this band measures a full 8mm wide and is a tapered comfort-fit size 9 1/2. Offered at a great discount through the Liquidation Sale at Earthworks Jewelry. Only one available. Free domestic shipping.